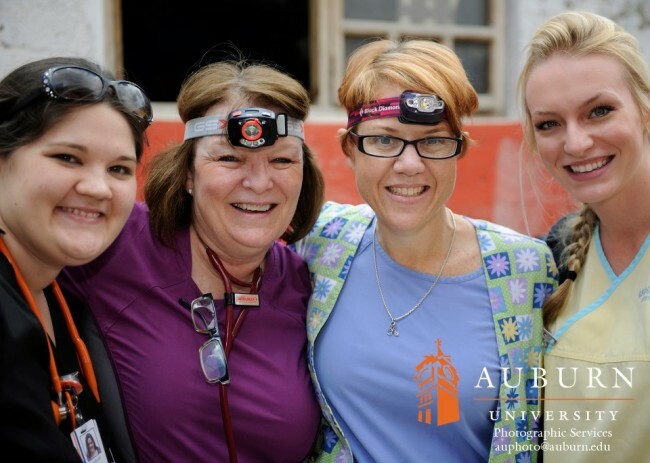 Last week, we posted about this year’s first international mission team from the Auburn University Schools of Building Science and Nursing. You can read about the construction part of the team working in Puengasí here. 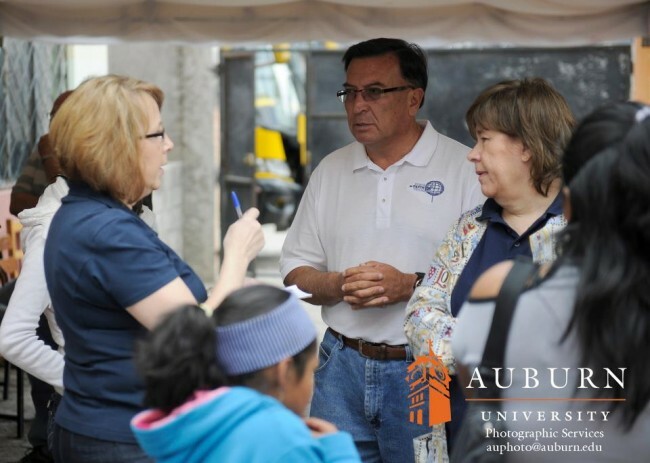 Just as a reminder, Jeff Etheridge of Auburn University Photographic Services documented the trip. In case you missed our updates on Facebook, here are links to the Facebook albums Jeff posted: Quito, Ecuador, Building Science & Nursing Team, Middle of the World, Nursing team in Marianitas, Building Science team in Puengasí (you can find all of the photos posted below and more in these albums!). 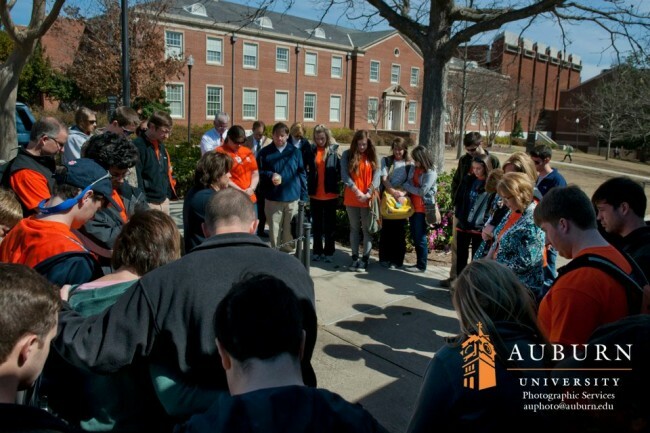 Before leaving Miller Hall, the team along with friends, faculty members and families joined to pray for their trip and those they would be serving. The medical component of the team served in Marianitas with SIFAT graduate Pastor Mario. These nursing, pharmacy and nursing practitioner students and faculty held a women’s health clinic. Not only did the women have physical exams, but they also attended an educational seminar taught by the nursing students. Of course, the team also held VBS for the project’s children and some children from the community. The following was written by Dr. Kathy Jo Ellison, Associate Professor in the School of Nursing. Kathy Jo shares about her experiences taking students to serve internationally. Getting to provide women’s health care in impoverished communities around Quito where women struggle for respect and have few health care resources they can afford is one of the most rewarding things I have done in my life. 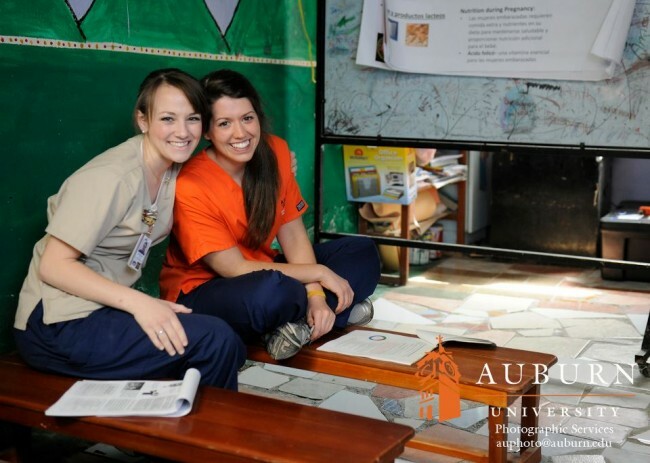 Taking Auburn nursing and pharmacy students also allows for the privilege of seeing students experience the joy of serving and giving in ways they have not experienced before – many going to a truly poverty stricken area for the first time. Although the students have studied the cultural health disparities and challenges they will encounter in the classroom, for most seeing them first hand and interacting with the communities, women and children is a life changing experience. Experiencing the women’s desire for personal caring attention, desire to learn about their health care needs, and deep gratitude for the health exams and treatments we deliver transforms all those who go. When young people get to experience the rewards of service and make it a part of their lives at an early age, it will result in them living happier, more fulfilling lives and the people they serve experiencing God’s mercy and love in action. Each year, students say it is one of the best experiences they had in college– the ability to give back professionally, learn lessons about working with other cultures that you can’t teach in a classroom, and have fantastic fun all at the same time! Where else can you stand at 12,000 feet above clouds staring at snow on tops of volcanoes, stand on the equator and zip through the canopy of the rainforest in the same week? This trip this year conducting our women’s health clinic with the people in Marianitas was no exception to this. The Pastor, his wife and all the people at the church were so inviting and desired to help us in any way they could. We saw more than 265 women and children, provided health education, and treated many infections, stomach ailments and pain. We went to serve them, but they really gave so much back to us in genuine acceptance and love. We praised God, danced and sang together at the end of the week and were able to catch a glimpse of heaven where we all forgot the differences on this Earth and were united in the spirit of love from God. Pharmacy students dispensed medicines prescribed to the women. 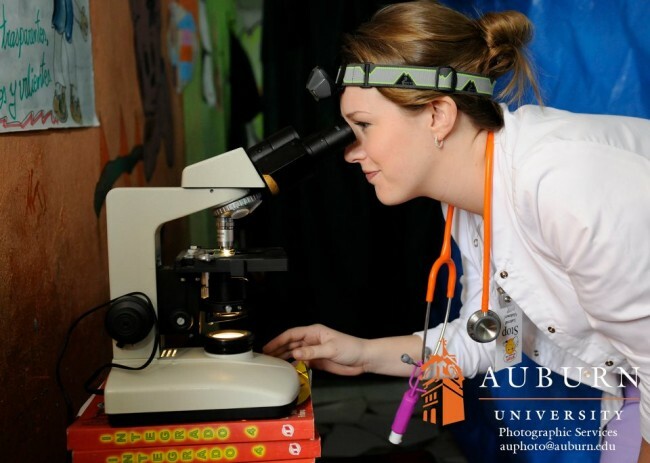 Ashley Pigg, a nursing student, shared some of her experience with us. Because I had never been on an international mission trip before, I decided to go to Ecuador. I was excited to practice nursing in a foreign country. During the trip, I learned that it is possible to provide great medical care to people even when you have few resources and fewer medications that you would like to have. I also learned that education is a big part of how you can make a difference. This trip to Ecuador gave me experience that will help me in the future. It will not only look great on a resume, but it helped me learn more about myself and that I enjoy caring for people in an international setting. 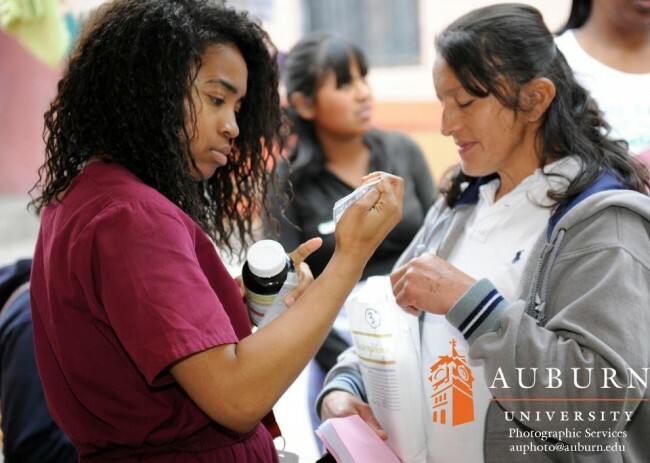 Nursing students prepare for the educational component of the clinic. Dr. Roberto Contreras (center), director of SIFAT Ecuador, and Dr. Kathy Jo Ellison (right), team leader, SIFAT volunteer Nancy Marg (left) discuss the day’s plan! 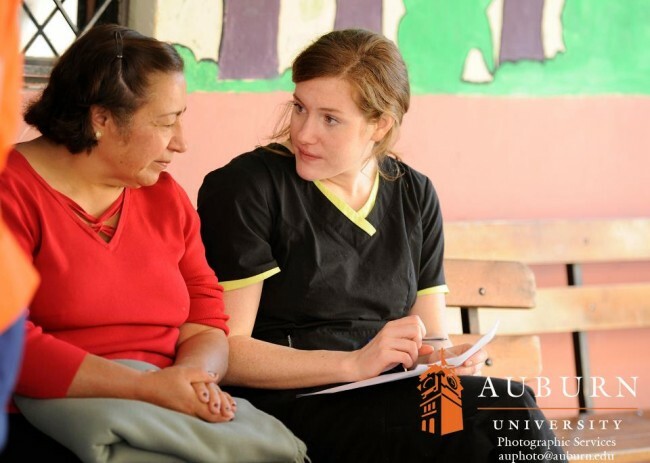 Nancy volunteers in our short-term mission teams department, so joining the AU team for her first international mission experience helped her understand how SIFAT teams serve in SIFAT graduates’ projects.